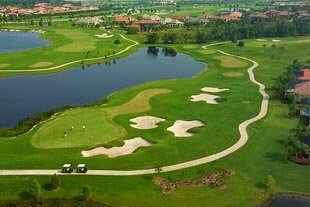 Lakewood Ranch Country Club East is the new addition to the 8500-acre master planned development. This golf community features a selection of elegant single family homes set in a thoroughly protected natural environment. A commitment to greener surroundings makes Lakewood Ranch Country Club East real estate an ideal choice in today’s quest for a healthier lifestyle. Using materials and building techniques approved by the Florida Green Building Coalition, home builders make sure that Lakewood Ranch Country Club East homes for sale will reduce energy consumption and maximize the quality of the indoor environment. Several distinct neighborhoods comprise the whole community and offer a wide variety of layout options starting from over 1700 to 6100 square feet. Price tags also vary, and range from the low $200s to over $1 million. Plans for a clubhouse with superior amenities are under way. The proposed community building will include banquet and conference rooms, a lounge, and a grille room. A pool and aquatic center will have a resort-style pool with a tower slide and other fun water park features that the family will surely enjoy. There will also be a poolside bar and café, tennis and volleyball courts, and an activity lawn. Residents may also obtain country club privileges from the Lakewood Ranch Golf and Country Club. They can choose from the available membership plans based on their requirements. Bronze membership allows the use of dining, social, and aquatic facilities. To include regular access to the fitness center, choose the Silver membership. Gold members are entitled to all of the above, including use of the tennis courts. Golf course privileges are available under certain conditions. If you want year-round access to all facilities, then the Platinum membership is the option for you. 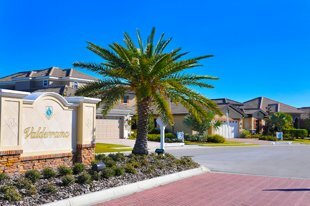 At Lakewood Ranch, you can be sure that everything you need is within reach. For families with school-age children, there are several public and private schools in the vicinity, including the Robert E. Willis Elementary located just outside Country Club East. The Gilbert W. McNeal Elementary, R. Dan Nolan Middle School, and The Goddard School are located north of the community. Lakewood Ranch High School is on Lakewood Ranch Boulevard, just west of the MTI East Campus. 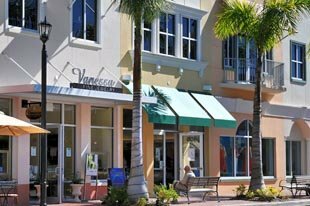 The life of Lakewood Ranch lies in its town center, where Main Street and merchants come together to provide a pleasant mix of boutique-style shops and eclectic restaurants for the residents. The latest Hollywood offerings are brought to Lakewood Ranch Cinema by the Sarasota Film Society. Holidays, such as the Fourth of July, are celebrated with a bang at the town center. If you’re looking for an integrated community that offers comfort and convenience, and shares the vision of a clean and green environment, then you absolutely belong in Lakewood Ranch—all the more if you have a passion for golf. Check out the listing for Lakewood Ranch Country Club East real estate and you just might find your new home among the selection of durable, environmentally sensitive, and health-enhancing residences. Below are all of the current real estate listings available for sale in Country Club East. Listing courtesy of: NEAL COMMUNITIES REALTY, INC.